Garlic pods - 4 - 6 nos. · Soak black chick peas over night in water.Cook till the peas are soft in a cooker.When the peas are cooked keep it aside. 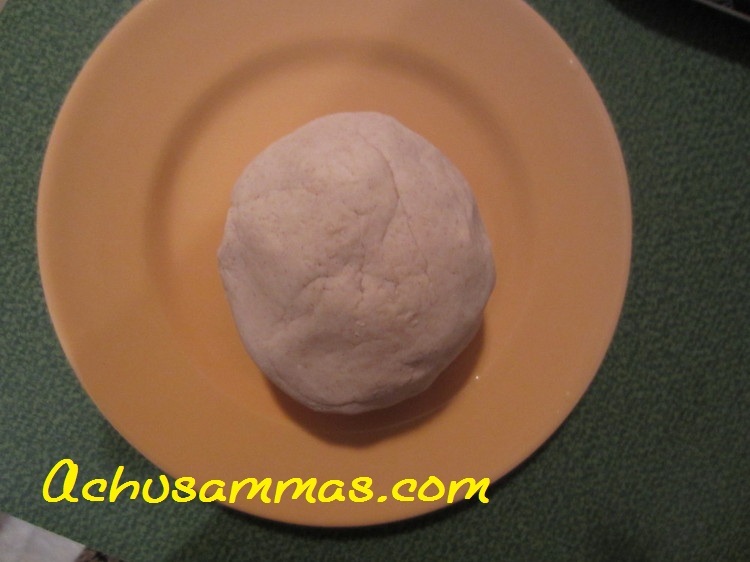 · Add the rice flour and wheat flour in a large bowl,add ½ tsp salt and 1 tbsp oil.Add water into this mixture little by little and mix with hand,the flour comes together as a soft dough.Like chapatti dough. 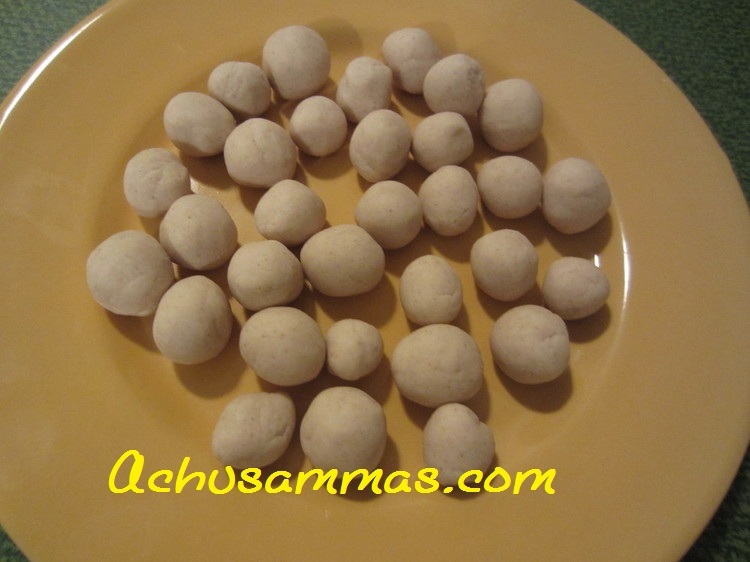 · Apply some oil into the palms and form a small balls out of the dought and keep it in a plate.Repeat the process till all the dough is used up. · When it start to boil,at this point add the small balls.Keep covered and cook for 20-30 minutes,occationally stirring to keep balls separate. 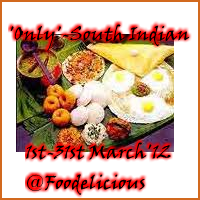 · Mean while grind coconut,garlic and some curry leaves into coarsely. · Now add the ground coconut ,mix well and cook at high heat with constant stirring till the mixture becomes almost dry with gravy thickly coating the dough ball.Remove from the heat. · Heat 2 tbsp oil ,when oil is hot add mustard seed,mustard seeds start to popping add urad dal.Sauted till urad dals are become brown. 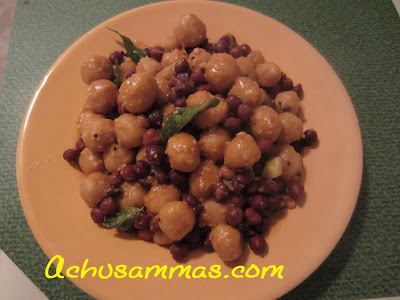 · Add curry leaves,when the leaves stop spluttering turn off the heat and add seasoning to the cooked dumpling mixture. · Stir well to combine.Garnish with cilantro. The mix of the textures here I am sure make for a wonderful bite. Like the blend of spices that you used here also. Nice comforting dish-yum! 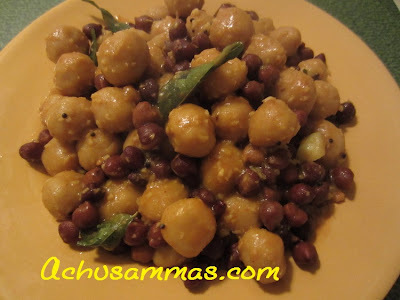 Anything with chick peas sounds good to me! This is something I should try! Mmm... very interesting recipe. I like it very much! new to me looks good! Super delicious and tasty one !! This recipe is new to me..will surely try this.. Very new dish, looks awesome.. Very interesting dear, thanks for sharing and linking it to 'Only'.